MrSpeakers, makers of our number one product of 2014, the Alpha Dogs, are back again with their latest incarnation, the Alpha Prime Planar headphone which is technically and fiscally their new Flagship headphone replacing the Dogs at the top of the food chain and priced at $999.99. That is LCD-2 territory now and a few years ago the top end of great can prices but nowadays $1k is almost the new mid-tier which is a bit scary when I think about it. Anyhow sadly the Prime came just right after we finished our best gear and voted the Dogs as the best gear of 2014 so it didn’t manage to get considered for 2014’s awards. For those who are new to the MrSpeakers concept let’s just say Dan Clark’s team have pretty much taken the old Fostex T50RP budget planar to the extreme with modifications and design overhauls in the last few years along with a few other noted competitors such as Zach Mehrbach’s Vibro range which we also reviewed a few months back. With the Dogs MrSpeakers broke away from the somewhat piece meal but impressive DIY market with the first 3D printed cup design and a tuned driver that that I described as essentially a neutral tonality with a very deep soundstage. It was almost the perfect closed headphone for me given my own personal preferences and the price point, $599 that MrSpeakers was pitching the Dogs at. 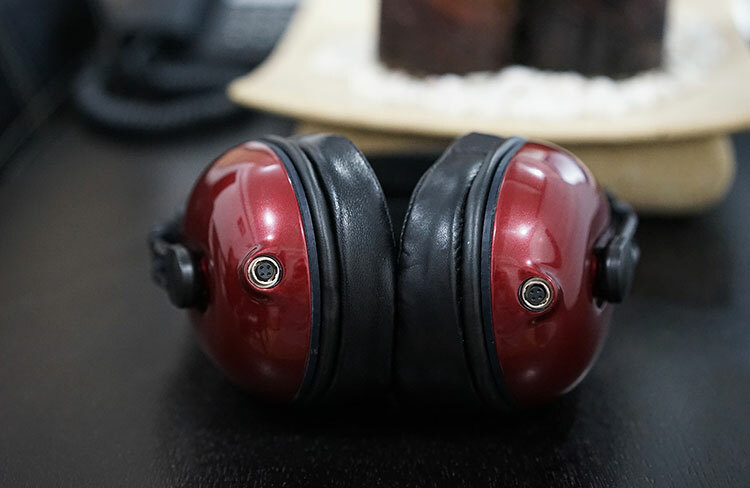 It also raised the bar significantly on the build quality of a DIY headphone looking very professional and a world away from the original stock edition and even most of the DIY iterations at the time. 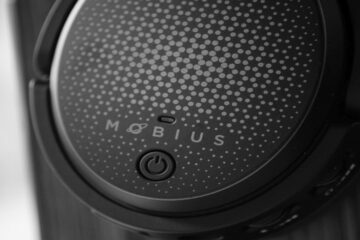 It was a breakout headphone for MrSpeakers and they have been reaped the rewards since. The Alpha Prime is designed to take that Dogs one stage further, incorporating the feedback from the original Alpha Dog’s reviews and customer feedback as well as exploring further the baffle design and driver and what can be done with it. Dan is actually quite hesitant to reveal what he did with the Prime on the inside to make it different form the Dogs on a technical level but I can safely say this is a very different sounding headphone in many ways but curiously on the outside and apart from the lettering it looks exactly the same as the Dogs. The striking similarity between the Alpha Prime and Dogs reminds me a little of the initial discussion people had of the Audeze LCD-3 when it first came out. People remarked it looked almost the same and packages the same as the LCD-2 so why does it cost a whole lot more? How can sound alone be worth an extra $1k? Much of this is semantics and a visual association with things such as packaging, size, quality of materials used and in some ways it is a valid point but fast forward 12 months and controversy has died down a bit about the price of the LCD-3 in relation to the LCD-2. 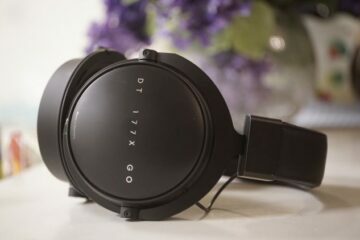 There is sort of an acceptance that it is indeed a much higher quality sounding headphone for those hovering in and around that high end market. The new different is the same? In many ways the leap from $599 to $999 for the Alpha Prime will largely follow that LCD-3 path of price query to price acceptance. When you unpack everything there is not a hell of a lot of difference even if the original contents used by the Dogs now in the Prime package and are all of excellent quality. You get the same plain black box with labeling (this time Prime not Dogs), the same foam padding on the inside with the same excellent little metal stand, a set of unbalanced quarter jack gold plated Canare Quad Star cables with hirose connections (you can order XLR balanced instead if you wish), the same soft velvet pouch and the cleaning cloth kit with manual on safe listening and use of the headphones. I had to actually be quite careful when setting the whole package beside the Dogs in case I got the two mixed up though truth be told it probably wouldn’t matter since it’s all the same stuff, just being OCD again. I still think the Prime (and Dogs) design is the most advanced design yet of the original T50Rp. The 3D printing of the cups are exceptionally well finished, sturdy and weighty. The cup “double wall with lattice” construction from the Dogs is still being used in the Prime build to provide great damping power than regular injection molded closed cup designs. This is to ensure the sound remains as open as possible despite being a closed headphone design. The Prime also sports the Alpha Dogs dual entry hirose ports for cable connection and they still look as well integrated as before into the overall cup design. Both headphones still retain the Fostex headband and an added leather support underneath that first appeared on the Dogs iteration. The Prime supporting leather headband though is a bit more refined with a slightly more svelte and countered design and split in the middle presumably for heat and comfort reasons. It looks higher quality than the original Dogs version. The Prime also still has the bass tuning port that was first seen on the Alpha Dogs though this time it seems sealed with a white resin and no tuning key so it is unlikely you can tune the Prime in the same was as you could with the Dogs. You can of course move around the tuning dots inside the cups if you want to further tune the Prime to your own desired reference sound or particular bias and unlike the Dogs you do not have to use felts such as what you found in the Doggy Treats package. On the Dogs I never touched the bass tuning port and I didn’t see a reason to personally because that neutral sound and frequency response was right up my alley. For this review I didn’t touch the bass port either and left it stock with no added Doggy Treats. The pads used on the Prime are the same plush and comfy deep lambskin leather ear pads from the Alpha Dogs. I was recently comparing isolation and seal from the new closed PM-3 from Oppo with the LCD-XC, the Momentums, the Primes and V-Moda’s M100 and the Primes still slayed all before it apart from the XC for overall isolation or seal and comfort of the pads. The evenly balanced pressure from the clamping and the rather pliant molding effect of the lambskin on the pads made for a great seal overall with next to no leakage in or out. They are also still replaceable for the same $60 price as before direct from MrSpeakers. The Prime also comes with the same metal stand as the Dogs for resting the cans on it so again its a perfect height for resting the Prime on it without the cables attached but with the cables attached you have to push them forward slightly as the hirose connects and stiffened part of the cable touches the base. This touching of the base makes them go off balance slightly thus the need to angle them slightly for a more secure fit and have the cables pointing away from the stand. You can also get around this by attaching the foam block in the box to the top of the stand to add height using double sided foam tape. As with the Dogs setup the velvet pouch duels nicely as a dust protector by placing it over the Prime when it is on the stand and not in use. As mentioned the Alpha Prime does come with the same bass tuning port as the Dogs but unlike the Dogs the port is blocked. I spoke to Dan and he mentioned that these particular drivers have been reengineered from the ground up and are not setup in the same way as the Alpha Dogs. The bass tuning port will not work in the same way as it did for the Dogs. They also do not require the felt pads from the Doggy Treats package sold separately for them to be tuned in combination with a bass port drive tweak. Instead you have the tuning dots and a lot of combinations to achieve the sound you want. MrSpeakers have just released the latest tuning dot guide for the Primes which we have uploaded and made available here for Prime owners wanting to tweak the sound for their own preferences. It can also be used for the Alpha Dogs and Mad Dogs tuning in combination with the Bass port of the Dogs and the felt pads. There are up to 4 dots for configurations inside the cups over a potential 12 dot space combination much like Rubik’s cube face and 4 colored pieces on a single side face. The default tuning creates a small increase in the 3-5 KHz regions, followed by a decrease in output from 7-14 KHz. Other variations can also include slightly bigger drops at the 2-4 KHz range and a higher peak at the 10 KHz range as well as others with a slight elevation around the 100Hz region. There is a heck of a lot of potential combinations and too many to cover in this review which will focus on the stock tonality out of the box. Are they portable enough with a DAP like AK100 Mk2? I still think you need a good portable amp to get the best out of them. Can you elaborate on the your comparison between the HE-560 and Primes? 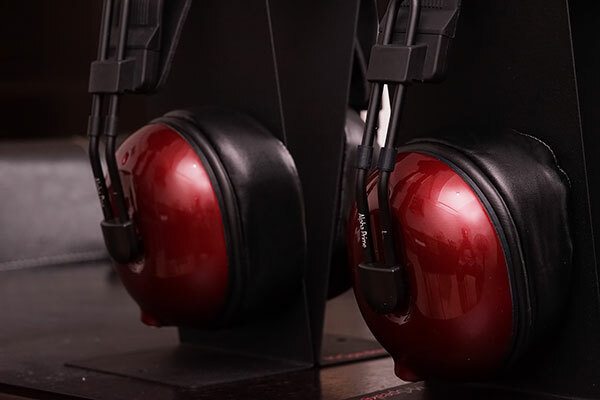 The HE560 is a neutral to bright headphone compared to the darker and smoother Prime. The Primes have a more dynamic and engaging soundstage with a fuller bass, more forward upper mids and a slightly smother and laid back treble. The HE560 has a more linear bass and mid section, technically more accurate with a more articulate treble performance that stays on the right side of musical. Thanks! Between the two, which do you consider a better all-rounder for a wide selection of music genres? I would go with the Primes for an all rounder. Thanks so much for taking the time to review the Alpha Prime, we’re glad you enjoyed them!